I have been studying genetic abnormalities in depth recently and the fear of such destructive preventable diseases instigated my curiosity to find the ideal age range to have a child. This is kind of deviating from my usual rant but something I have been thinking about a lot recently. 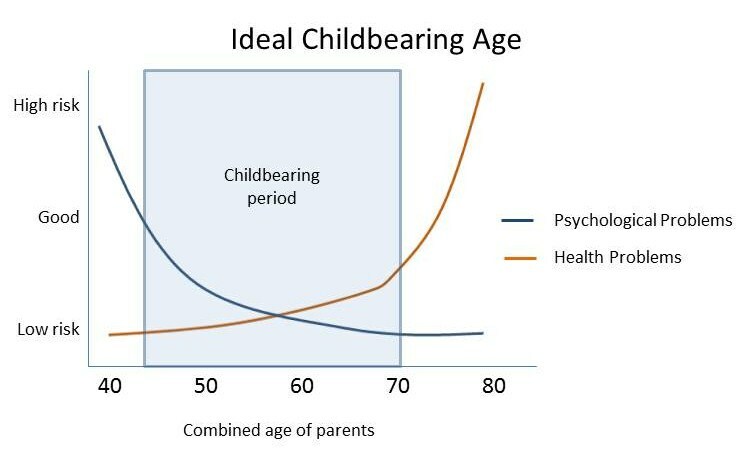 Obviously there is no perfect age for everyone but I figured I’d at least try to quantify the balance between nature and nurture.